If you were hurt in any type of incident or accident in the Miami community of The Hammocks, you would likely be best served by speaking with a Hammocks accident lawyer to discuss your legal rights. Maybe you are not sure if you have a case. Wouldn’t you feel better if you could speak with an experienced Miami personal injury lawyer about your injuries and the facts of your accident in The Hammocks? Our suggestion is that you should seek out the best Miami personal injury attorney for your accident and injury in The Hammocks and get the answers that you need to make an informed decision. Since 1963, the Miami personal injury lawyers at the Wolfson Law Firm have served the communities and neighborhoods of South Florida including The Hammocks. Our Hammocks accident lawyers understand your concerns about holding the responsible party accountable. We can help you and your loved ones get the justice and financial compensation that you deserve. We provide free consultations. We only get paid if you recover. There are no risks or costs for you to get the answers and information that you need. Just call us at (305) 285-1115 and let us discuss your case with you right now. 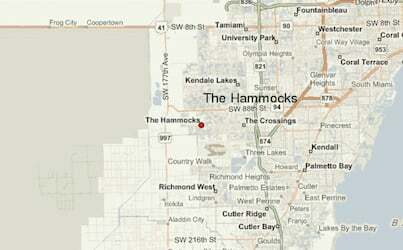 The Hammocks is located in the Miami-Dade County as Census Designated Place (CPD) located in the southwest section of the county. It’s close to the Kendall area and surrounded by cities such as Kendale Lakes, The Crossings, Richmond Heights among others. It has a population of over 50,000 with a remarkable Latin American majority, being Colombians the one country dominating in the area. It is known also as Little Bogota, in reference to the Capital of Colombia. The accident and injury lawyers at the Wolfson Law Firm in Miami have had the privilege and honor of representing the people of South Florida in all forms of injury claims for more than 50 years. We welcome the opportunity to interview with you. We invite you to review our results and to research our firm to make your own determination if the Wolfson Law Firm is the best Miami personal injury law firm for your case. Please call us at (305) 285-1115 and let us address your concerns following your accident in The Hammocks or anywhere in South Florida. The Miami personal injury attorneys and wrongful death lawyers of the Wolfson Law Firm serve not only the community of The Hammocks in Miami and all of South Florida including Kendall, Kendale Lakes, Hialeah, Miami Lakes, Hialeah Gardens, Homestead, Princeton, South Miami, Cutler Bay, Richmond West, East Perrine, Country Walk, Glenvar Heights, Pinecrest, Goulds, West Perrine, The Crossings, Cutler Ridge and University Park.